Quantum biology, a young and increasingly popular science genre, isn't as new as many believe, with a complicated and somewhat dark history, explain the founders of the world's first quantum biology doctoral training centre. In a paper published by the Royal Society journal, Proceedings of the Royal Society A, Professors Johnjoe McFadden and Jim Al-Khalili from the University of Surrey trace the origins of quantum biology as far back as the late 1920s when the Danish physicist, Niels Bohr, delivered an influential lecture on whether the then new 'atomic theory' could help solve the mystery of life. In their paper, The origins of quantum biology, McFadden and Al-Khalili examine nearly 100 years of pioneering and improbable questions about the relationship between the fuzzy and almost magical world of quantum physics and the rigid and organised field of biology. 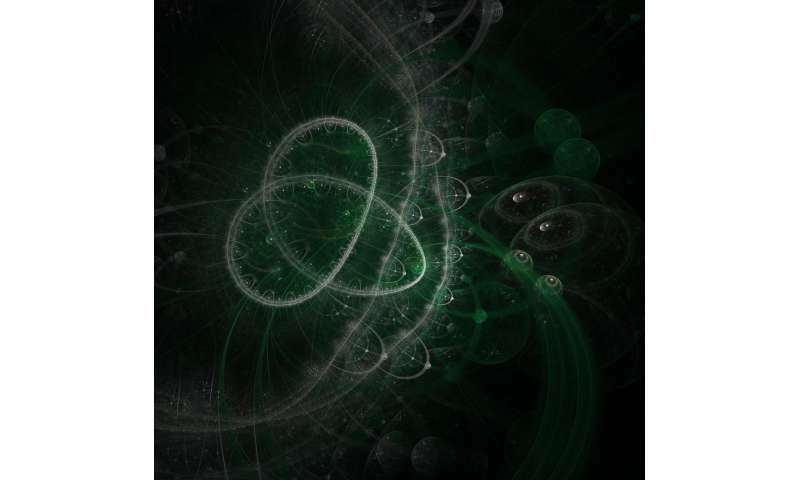 Quantum biology seeks to understand whether quantum mechanics plays a role in biological processes. Recent research has already shown phenomena such as photosynthesis, respiration, bird navigation and even the way we think are all influenced by quantum mechanics. Earlier this year, Professors McFadden and Al-Khalili opened the doors to their new Doctoral Training Centre for Quantum Biology. The centre, which is supported by the Leverhulme Trust, trains a new generation of scientists who can operate across the boundaries of biology, chemistry and quantum physics to pioneer research in quantum biology. Johnjoe McFadden, Professor of Molecular Genetics and Co-Director of the Centre for Quantum Biology at the University of Surrey, said: "Quantum biology is wrongly regarded as a very new scientific discipline, when it actually began before the Second World War. Back then, a few quantum physicists tried to understand what was special about life itself and whether quantum mechanics might shed any light on the matter. In this paper we tell the story of how it all began and why it is only now making a comeback." Jim Al-Khalili, Professor of Physics and Co-Director of the Centre for Quantum Biology at the University of Surrey, said: "With the University of Surrey now hosting the world's first doctoral training centre in quantum biology and training Ph.D. students in this interdisciplinary field, we felt it was a good time tell the world something about its origins. "We had wanted to lay out the history of quantum biology as far back as 2015, when Johnjoe and I wrote our popular science book,Life on the Edge, which has already been translated into 16 languages and was shortlisted for the Royal Society Winton Book Prize." It looks very much like "quantum biology" is a solution for those who refuse to accept the presence of God and deny that there can be manifestations, including life, that involve things not measurable by inanimate devices. Rather than invoke something they can't discern or refuse to accept, they take something that is recognized and taken to be somewhat unconventional in its nature and use that to explain circumstances. And, if they utilize such techniques as the carefully concocted "experiment", among other things defining terms and significance of observations, they can concoct "experiments" whose "results" they can twist to "prove" what they wanted to be able to claim they "proved". What it does imply though is that that it's decidedly impossible for those processes to have arisen via a naturalistic, purely material mechanism because the whole functional setup is just way beyond chance. There is no need to deny that quantum effects can be observed in biology, especially since its very presence indicates that a supernaturally intelligent agent was at work in creating it. Typical inflated press release where details of the description is not found in the paper. The extraordinary claim that "even the way we think [is] influenced by quantum mechanics" is not only not having extrordinary support in the paper, it is contradicted by it: "speculatively [and] has little support". The point of the review comes in the last paragraphs where they find that, as in all chemical systems, quantum effects are modifying "classical" bond chemistry within cellular biochemical machines. Not very surprising and not very powerful. Another problem with "quantum" anything is demonstrated by the first two comments here, since the unduly labeled mystery of the term draws in hopeful superstitious nutters that ever fails to find support for their erroneous claims on nature. Obviously for everyone else these nutters found yet again exactly zero support. "There is no need to deny" indeed needs no denial since there were no "indication [of something magical]" . Yes, the article is a bit too short and lacking substance. Certain is that we will have to go way below the current subatomic insight level for filling the knowledge gaps for the many natural phenomena awaiting explanation. We will find out how it is possible that thoughts can travel faster than the speed of light between two persons, discover still unknown energy forms etc., etc. All that is about the one and only reality and its truth, not to confuse with unreal and fraudulent phantasy land of random religious claims. Julian, there is an overwhelming beauty and sophistication in the way the laws of physics and nature as a whole enable the universe to unfold on its own. However, inventing an individual being as show master is rather insulting the magnificence of energetic processes.